For a company that claims not to care too much about rival products, LG sure seems to be keeping a close eye on Apple and its polarizing iPhone SE. Not only has the company's CEO of the mobile division gone on record to say that Apple is "rolling out a product with same-old technology and features", but a newly uncovered trademark filing reveals that LG has actually trademarked the name "G5 SE". 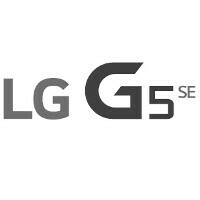 In fact, the G5 SE name was first claimed by the South Koreans in late February, when the iPhone SE was still technically a rumor, but then followed up just a week ago by covering the LG G5 SE name as well. Forgoing some important considerations for a moment, this could signal that the Android maker is perhaps planning a smaller version of its new G5 flagship, which wouldn't be much of a surprise—the company has, after all, done this in the past. That said, given how the iPhone SE is actually decked out in mostly latest generation Apple tech, we'd at least hope that if that is the case, LG is planning on a competent, high-end compact. Of course, it should be pointed out that companies regularly tag names such as this for their own reasons, and that's not necessarily proof that they're planning on executing on them. In LG's case, this might just be some sort of maneuver to protect its brand. And while we're no legal experts, we imagine that the company would probably have an easy time defending its rights over these particular names, given its investment in them over the years. So the move strikes us as peculiar. Either way, we found this to be an amusing little tidbit, especially given LG's strong—and all kinds of dismissive—position on the iPhone SE. Would you like to see LG go ahead with a G5 SE, even if named differently? Apple fans are going to go to town after this. But we seriously need a good phone under 4.7" running android. Apple virtually has no competition here. The best android has is Z5 compact, and that runs on Sd 810. I don't get how all these manufacturers have left Apple unmarked. There has pretty much always been a market for smaller phones but android smartphone manufacturers have either ignored that market or slapped much less of their best hardware in side of it. Instant win for Apple pretty much. I want to see which manufacturer responds and what their device looks like. 4.7"phone may be good for your hand but it would never again enough for contents or media for most people. I would like for manufacture to aim for ergonomic and lighter phone instead. What I don't know is why people compare the z5 compact to iPhone SE, when its screen size is much closer to that of 6S. It might be built not for this comparison, but it isn't as compact as SE so shouldn't be called as an alternative, I guess. Prove me wrong with explanations if anyone intends to! In 1997 EA released Need For Speed 2 "SE". I guess they'll soon be in a lawsuit. I drive a Toyota Corolla SE. No.. Apple doesn't own those 2 letters.. Apple fanboy might mock LG because they would of gotten the idea of "G5 SE".. from Apples "iPhone SE". Why do it? Why would LG use "SE" and why would Apple use "Plus".. these names have been used by their rivals.. it comes off desperate and sadly. Why can Apple (with regards to the plus) and LG come up with Original ideas for names... Like maybe "C LG 5" or "LG 5C" for "Classic LG 5" or "LG 5Classic" Apple should of called the "iPhone 6 Plus" the "iPhone 6 Pro" and call the "iPhone SE" the "iPhone Air"
Exactly, is not that they own it, just comical. For example recently, Apple Pay, so Google, change theirs, and of course we also have Samsung pay. So, Apple copies the functionality/concept of Google Wallet, nobody bats an eye. Google changes the name to Pay, and it's piracy. Have you seen Android (2006) before IOS? using your extreme logic.. Google failed big time. But it just after apple make the apple SE. The same when HTC 'back' to apple design with a9 after iphone 6. So it make you wonder if they really intentionally follow apple after they popularize something. How about the iMac DV SE that Apple releases 17 years ago?Explain pls! Sure, but being a fan of bigger phones, I'd like to see a "plus" version in the 5.7-5.9 range. LG is the 2nd best after Samsung. The G5 has one of the best and most advanced camera, splendid QHD display, super-hi audio quality, elegant design, and especially its unique modules that no one can make it yet. if only they made G5 with G2's bezels..
"We run out of naming ideas due to the hundred names that were already taken from other OEM so let's just copy Apple instead."